If you take an hour drive down the I-65 corridor south from Nashville, Tennessee, you’ll find yourself in Columbia. My hometown isn’t quite the sleepy Southern town it used to be, much to my chagrin, but it’s still home nonetheless. The county seat of Maury, Columbia does have a handful of claims to fame to save itself from being a complete afterthought. If claiming a title means you get to keep it for all time, then I suppose it’s proper that Columbia still styles itself as the “Mule Capital of the World.” It’s been a century and change since the mule trade featured prominently in Columbia’s economy, but if a former president is still “Mr. President”, then I suppose Columbia is still “Mule Town”. Don’t think for a second this isn’t an adequate cause for celebration. They’ll be putting on their 179th Annual Mule Day celebration, which would be more appropriately titled Mule Days since it stretches nearly a week long, replete with fried foods, music, and even a parade down Main Street. While he wasn’t born there (Pineville, NC gets that honor), Columbia likes to pride itself as being the home of an American president. The James K Polk Home, the final residence of the nation’s 11th executive, sits a couple blocks down from the courthouse. It’s a museum now, among blocks of buildings that would make one think they had traveled back to the 19th century were it not for a Dairy Queen. 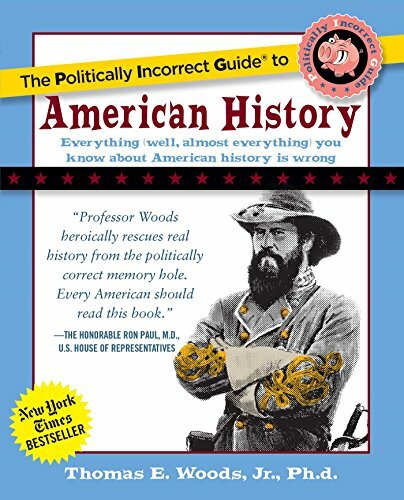 The Politically Incorr... Thomas E. Woods Jr. Best Price: $1.62 Buy New $9.95 (as of 09:05 EDT - Details) Another notable Columbian is John Harlan Willis, whose name graces a Columbia bridge that crosses the Duck River. Nearly 40 of the 3,503 individuals who have been awarded the Congressional Medal of Honor are natives of Tennessee, and one of them is John Harlan Willis. Willis was born in Columbia in 1921. He graduated from my high school alma mater, Columbia Central, in 1940, only a short 64 years before myself. I remember walking every day by the display case, which contained his portrait. He was a baby-faced young man with a bit of a mischievous grin wearing his dark blue uniform. John wanted to become a doctor, as he was far more inclined to aid the ailing around him than to bring them to any harm. It was no surprise, then, that when the United States entered World War II, he found himself taking up the role of a Pharmacist’s Mate, First Class, in the U.S. Navy. Willis enlisted in 1940, receiving his naval recruit training at Naval Training Station in Norfolk, Virginia, before moving on to his hospital corpsman training at the Norfolk Naval Hospital in Portsmouth. By the onset of 1944, having spent most of the war learning the healing arts rather than combat, Willis was finally transferred to the 3rd Battalion, 27th Marine Regiment, 5th Marine Division and sent to the Pacific theater. It was on Iwo Jima where, on the last day of February 1945, he would earn the Medal of Honor. The official citation that accompanies Willis’s Medal of Honor reads like something straight from a Spielberg film. While in the process of aiding a number of his fallen comrades during the fierce fighting near the Japanese-held Hill 362, Willis was struck by shrapnel from a nearby grenade explosion and was ordered to abandon his charges and fall back to the safety of an aid station. After receiving some bandaging for his wounds, but before being given leave to return to action, Willis made his way back to Hill 362 to resume treating marines who were suffering significant casualties. Then, while administering plasma to the wounded, Japanese forces began to litter his position with hand grenades. He picked up the first to land in close proximity and hurled it back at the foes atop the hill. He then grabbed another, and another, until he had returned eight grenades. It was the ninth grenade that came down upon him that he could not return in time; it exploded in his hand, killing him instantly. Inspired by the scene before them, Willis’s companions rallied from their entrenchment and, despite being outnumbered and charging uphill, they launched the attack that would ultimately repulse the enemy. The medal citation ends with the statement, “His exceptional fortitude and courage in the performance of duty reflect the highest credit upon Willis and the U.S. Naval Service. 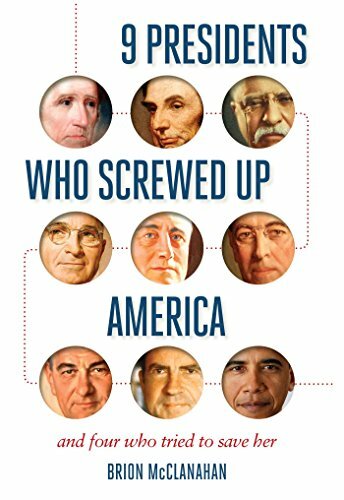 He gallantly gave his life for his country.” 9 Presidents Who Screw... Brion McClanahan Check Amazon for Pricing. While Willis was unquestionably selfless and heroic, I’m not so sure about that last assertion. Did John Harlan Willis really give his life for his country? Did he race back to the front, dodging fire and explosions, in order to please his country with his sacrifice, or rather that he could be the difference in his allies returning home safely? 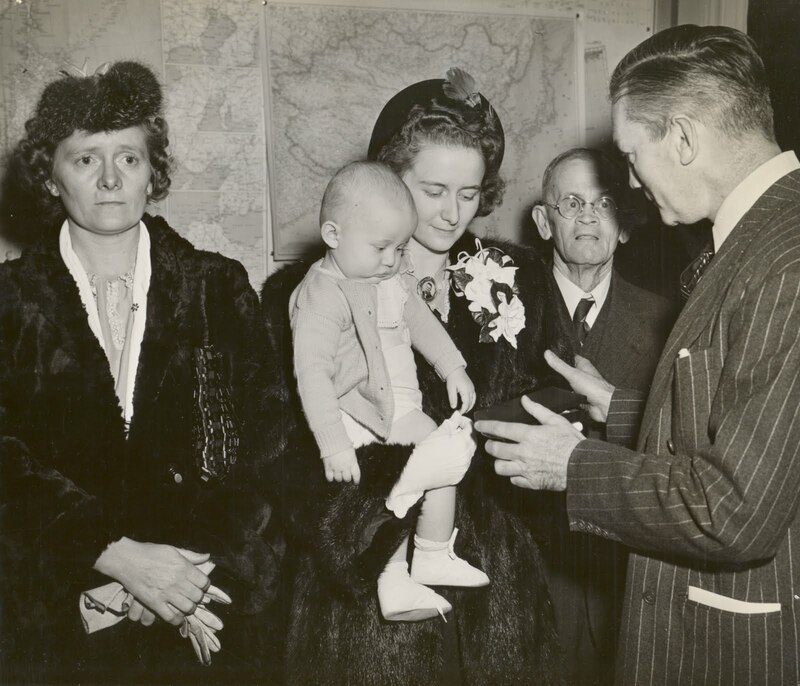 Perhaps we can find some answer in this photograph, which shows his widow Winfrey Willis holding her baby boy in one hand and taking her husband’s posthumous medal in the other from the Secretary of the Navy. Does Mrs. Willis look like a woman content to know her husband’s violent death somehow contributed to protecting America from an enemy it provoked in the first place, or rather a physically and emotionally exhausted single mother who would hand the medal right back if it meant little John could be hoisted in the air by his namesake? I tend to think if John were here today, he would tell you that, if indeed his life were destined to be extinguished on Iwo Jima that day, then he wasn’t giving his life for his country, but rather he was giving it to save his brothers in arms. John Harlan Willis was laid to rest at Rose Hill Cemetery, just a couple blocks north of the courthouse. He sits today among Civil War soldiers, a handful of congressmen, a senator, and even a NASCAR driver. The hallowed burial ground, the honors, the memorial halls at medical centers, and even the destroyer USS John Willis are a bad trade for a devoted husband and father. He wanted to become a doctor. It might be a stretch to hope that he would have cured cancer had he survived the war, though he would’ve been valued all the same. A man who would brave bullets and shrapnel time and again, practically defenseless, in order to give a wounded man some plasma sounds like someone who would’ve made for an excellent neighbor. But we’ll never know what sort of family the Willis’s could’ve produced, the kind of physician he could’ve become, nor the sort of compassionate presence he could’ve brought to the community. And so the real tragedy of the tragic war hero is not in what he managed to accomplish, but rather in what he was never afforded the chance to. Alan Mosley is the host of The Gold Standard with Alan Mosley, which talks current events, politics, and pop culture from a libertarian perspective. It is a proud product of “little L productions,” and can be found on various podcasting platforms including iTunes, Stitcher, and Google Play, as well as YouTube. More info on Alan, including his social media handles (for now!) and more can be found at his website, thegoldstandardpodcast.com.